We went on the most amazing hike over the weekend. It was a beautiful hike and the weather was perfect. I made the mistake of wearing pants and a long sleeve shirt and I definitely didn't need it! It was really warm. We hiked the Chuckwalla trail (part of the Red Cliffs Desert Reserve) all the way up to Paradise Rim. Man those views are breathtaking up there! We overlooked Entrada, Snow Canyon Parkway, out into the fields of lava rock, and over into Ivins with the Snow Canyon rock in the distance. The actual trail we hiked to the views was really pretty too with lots and lots of red rocks. The Chuckwalla Trail is a great hiking trail but you can also mountain bike or ride horses on it too. We saw several mountain bikers and it looked like they were having a blast. Chuckwalla is the starting trailhead for all of the hikes surrounding it. It looked like you can probably get to Paradise Rim from most of the trails but if you want to be safe follow this route we took. 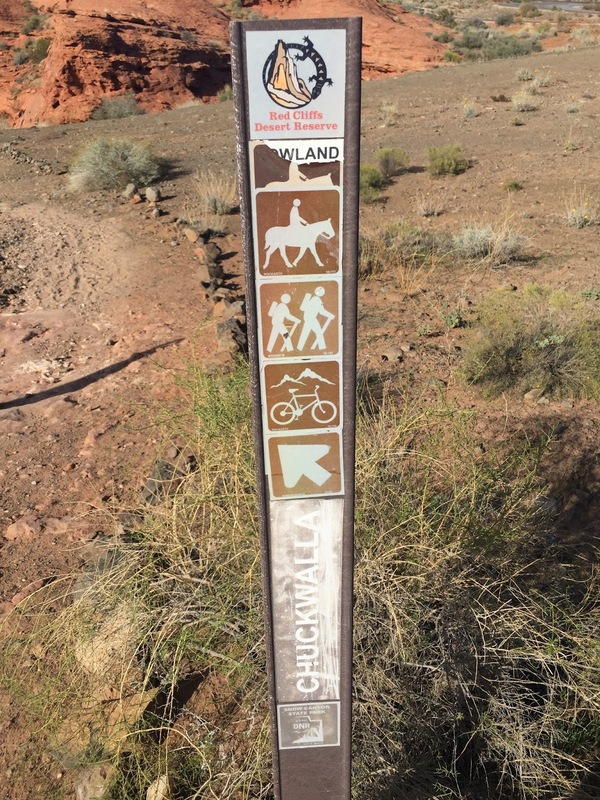 We followed Chuckwalla trail and you will get to a point where you can turn left onto Halfway Wash trail. Don't do it! Keep going straight to stay on Chuckwalla trail. You will come to a fork where you can turn right onto North Rim or left onto Turtle Wall. 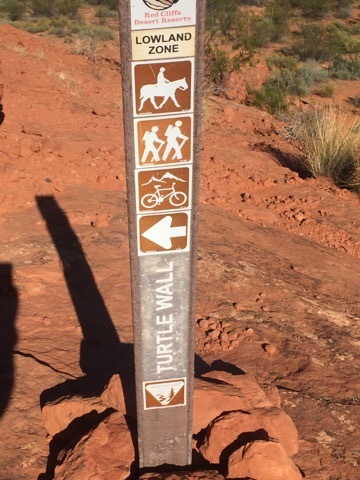 Take the Turtle Wall trail. Follow that up to Paradise Rim. So basically just remember: Chuckwalla, Turtle Wall, Paradise Rim. Once you get to Paradise Rim you can continue going on the trail to your right (if you were facing the view) and go up to Scout Cave. Weather: High 70's and clear blue skies! Distance: About 4 miles round trip. It took us approximately 2.5 hours. Pets: Dogs are allowed on a leash. 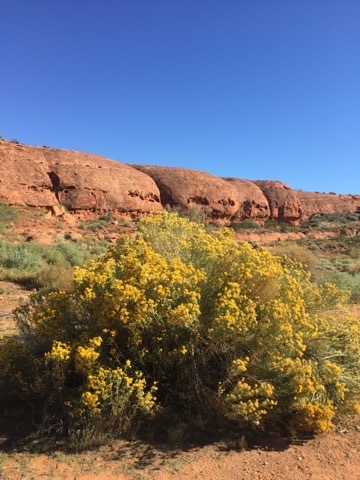 Location: Park at the Chuckwalla trailhead off of State Route 18. Head north on Bluff Street. 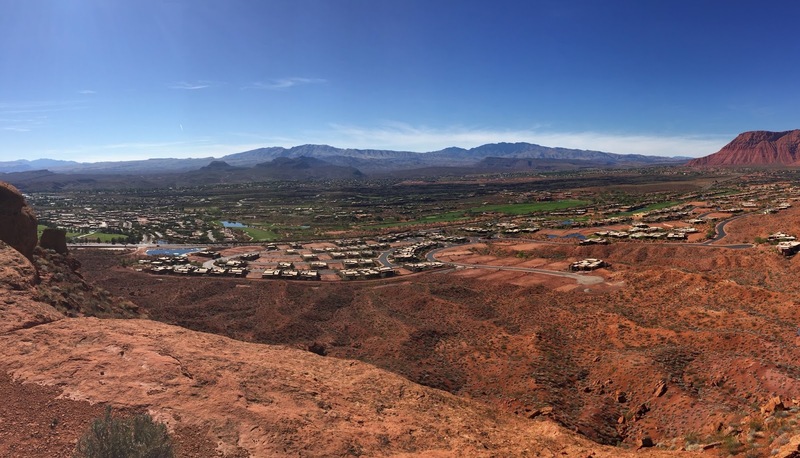 Bluff Street will turn into State Route 18 after you go through the light that intersects with Snow Canyon Parkway. After the light take your first left into the Chuckwalla Trailhead parking lot. There will be a sign on the road.